Go fast and heavy when you wear this cool Megadeth patch. 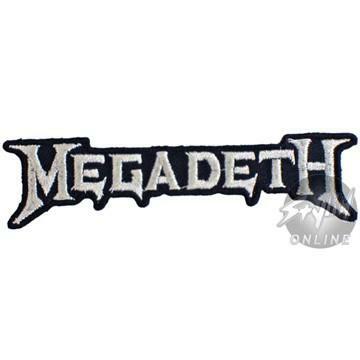 The Megadeth Name Patch is an iron-on patch embroidered in the shape of the heavy metal band's name logo, the word "Megadeth" in silver, gothic-style letters outlined in black. Rust in peace, dude!